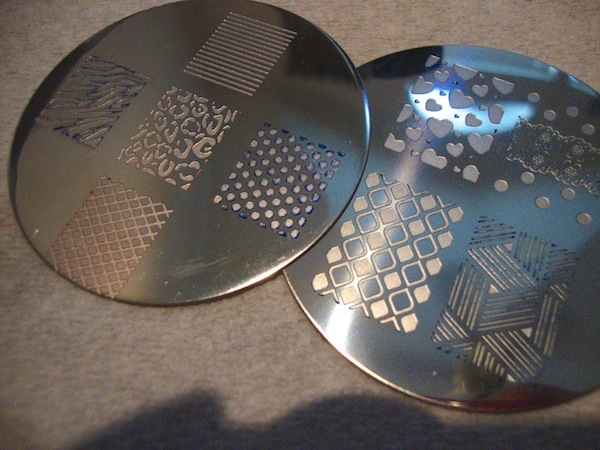 A bajillion days ago, I was contacted by Nail Polish Canada, who was kind enough to send me a nail stamping plate, stamper, and scraper to review. This website has recently added 5 Konad plates (m91-95) to their site this year. Of the 5 plates, they let me pick out the one I liked the most to review. The one I chose to review was m95. The plate came in a basic plastic sleeve. On the back, the plate is covered with a protective paper seal, but doesn’t have a plastic over on the front, which is surprising. Of the plates added to the site, I felt that this one fit my style the most. I wasn’t crazy in love with any of them, they were just a little to impractical for me, but I thought this one was the most fitting. 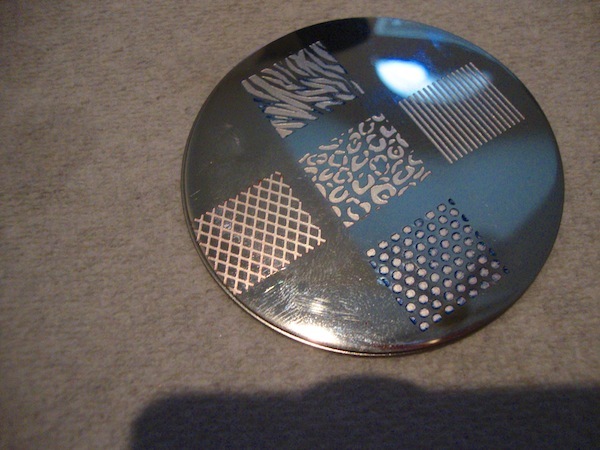 I’ve never used a Konad plate before, in fact, I’ve only stamped once before. Because of this, I only have one basis of comparison- the Claire’s Stamping Plates. So that’s what I’m going to do. I’m going to compare the products sent to me with the ones I got in the Claire’s kit. As you can see, the two plates are roughly the same size. 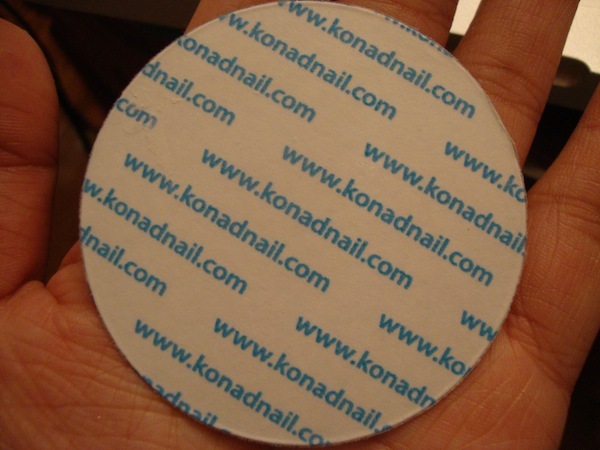 The Konad plate has larger designs, which is great because it can cover thumbs. It also has more variety. Not only do you get full designs, but you get single ones like the owl. This mix is nice because you have more options on what you can do with a single plate. The Konad plate is on the bottom and is slightly larger. The Konad plate (right) has a much larger design. Originally, I only received the plate, but I also asked for the stamper and scraper so that I could fully review the product. 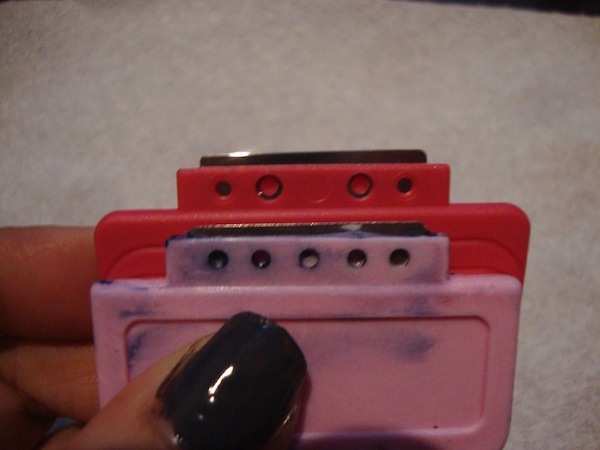 If you read my Claire’s review, then you know I had a very difficult time with the stamping. Not only did I have a hard time picking up the design, but I couldn’t make a smooth transfer on my nails either. 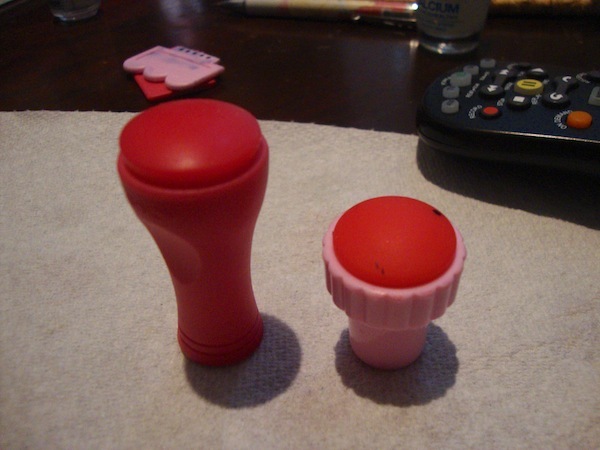 I like the Konad stamper because it was little easier to work with. The rubber part of the stamp was not as rounded and a little more flat, which made using the rolling motion on my nail easier. Sadly, I still have some issues with picking up the whole image (as you can see from the images above), but if I go slowly enough, I can do it. There are also little finger grooves, which give you a better grip. As for the scraper, the one I bought from Claire’s was defective. It was crooked. The one I received too was slightly crooked, but it wasn’t as bad. 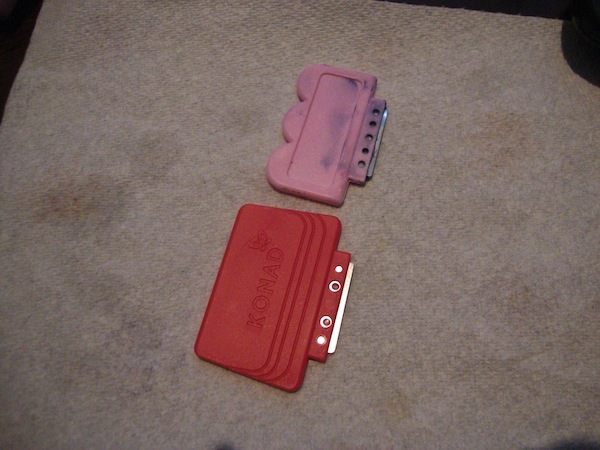 Also, you have more surface area on the Konad scraper, which gives you more control. Unfortunately, using the scraper, I scratched up my plate a bit, not nothing too drastic. 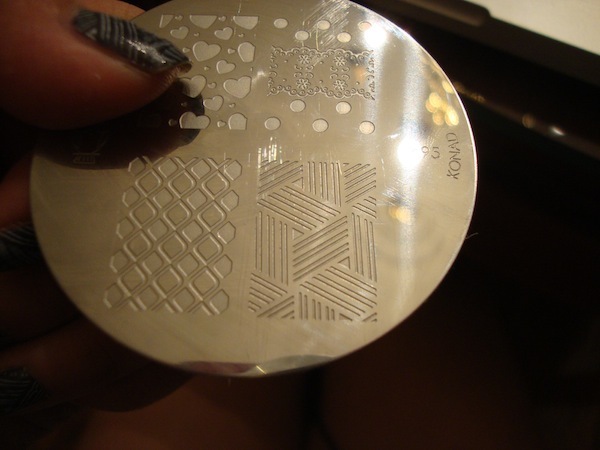 The scrapes are visible on the plate, but they don’t affect the design or transfer onto the stamper. The Konad one is obviously much longer and has the grooves for a better grip. The Konad scraper offers more surface area for more control. I’m not sure if you can see the small scrapes on the left side of the geometric design. All in all, I was very pleased with the Konad products. They are higher quality than the ones from Claire’s, which obviously means they are more expensive. The plate I received is being sold for $8.75, which is expensive since it’s just a plate, but with some research, I discovered it was the same/similar price on all sites. 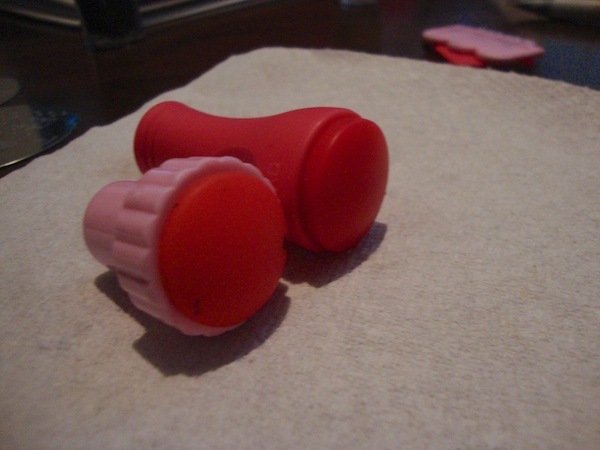 The stamper and scraper set is sold for $7.50, which I have seen cheaper on other sites. I’ve interacted with people from the site frequently, and they were very good at getting back to me in a timely fashion. In general, I find that their prices are similar to other sites that sell nail art/stamping supplies. I would say if you live in Canada, to buy from them. Like I said, the prices are similar to others and they offer free shipping in Canada. There are no hidden guidelines and no minimum purchases necessary. Additionally, they offer free shipping for orders over $25, and they have a list of items that are free shipping all the time. If you’re interested in some nail art supplies, be sure to check out Nail Polish Canada! They’re sure to have something you like! I hope that this post was useful and stay tuned for my Manicure Monday, which should be out shortly! I have heard that trick, actually. I talk about it in my Claire’s review (which I was not qualified to do since I’d never stamped before). I used a gift card and I remember thinking it wasn’t that effective because it wasn’t scraping enough away. I’ll probably just have to try it again with a card that’s a bit thinner! Thanks for the reminder though! Btw, I’m so happy you’ve stumbled across my blog!!!! :D I really appreciate all and any feedback! So, thanks again, for stopping by! I’m happy I wondered in too, I am hoping though you get more into stamping, cause that’s my current obsession and I needz morrre. :P Yeah, try another card, cause it works like a charm for me! I’ll be sure to try it out! I’m actually thinking about getting some more plates because I love how fast you can get a cute manicure, but with minimal work.